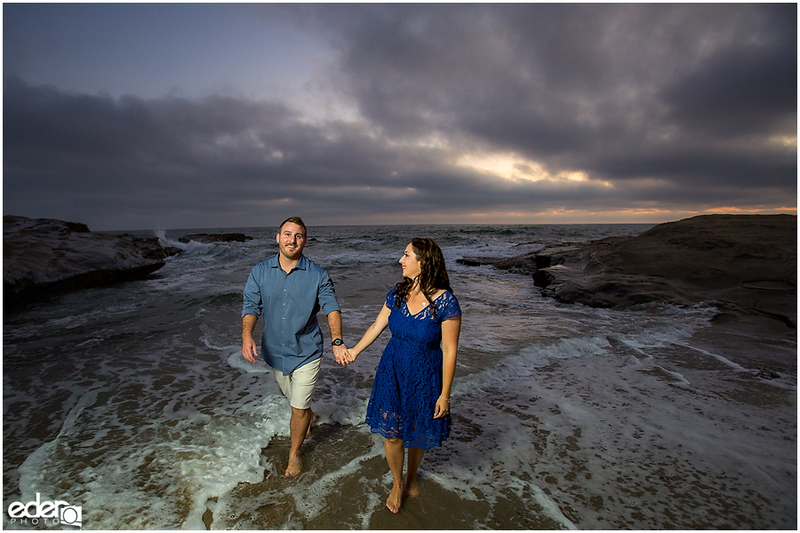 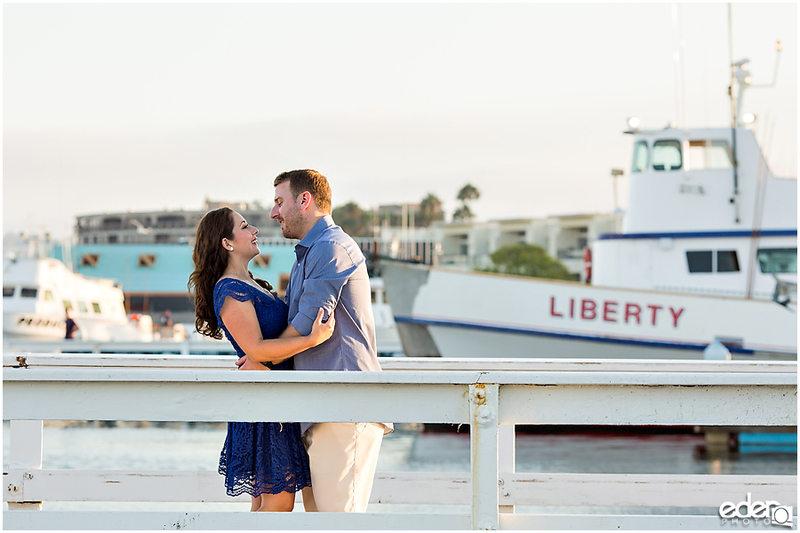 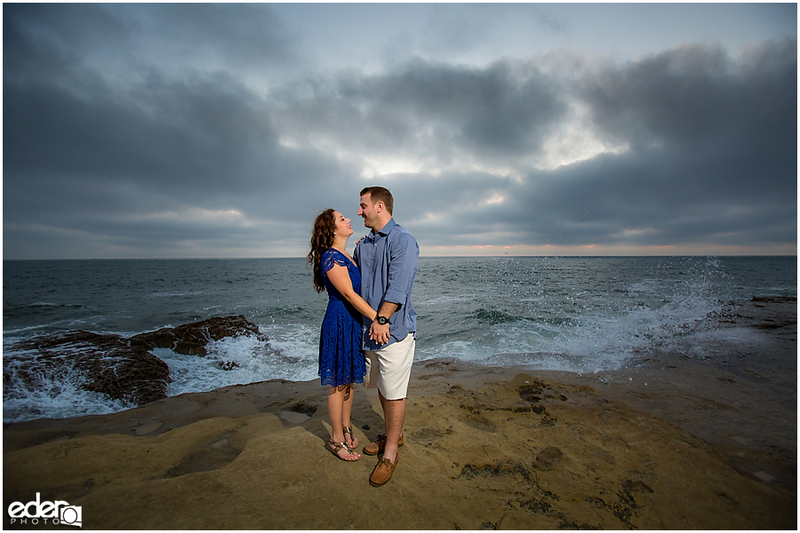 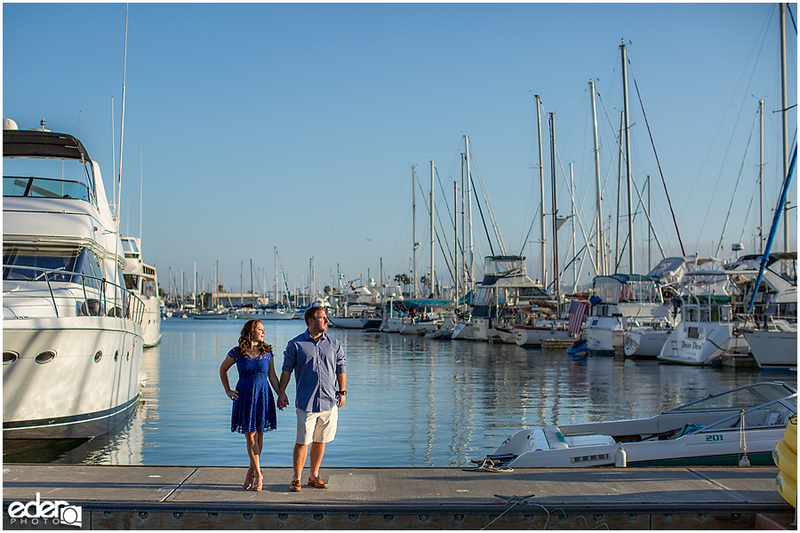 Scotty and Nicky wanted photos on a marina with some boats in the background and some beach photos, so we planned a Point Loma engagement session. 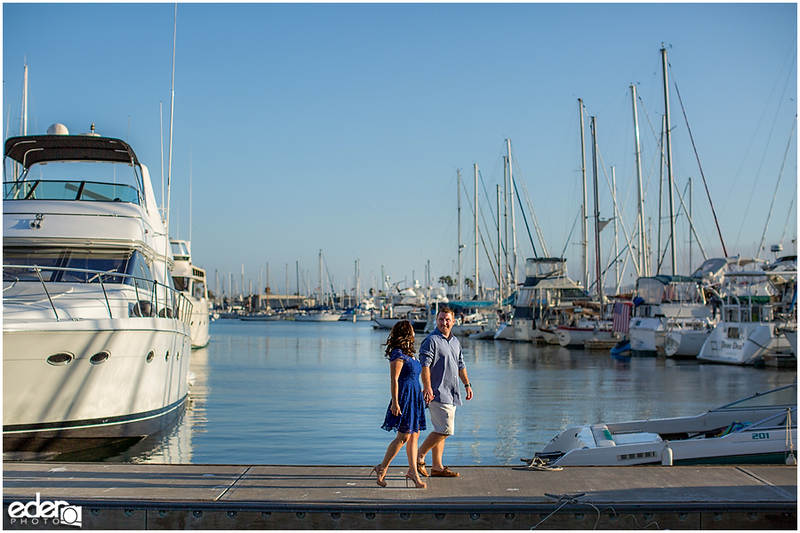 Point Loma has plenty of marinas to choose from, however, most of them are private. 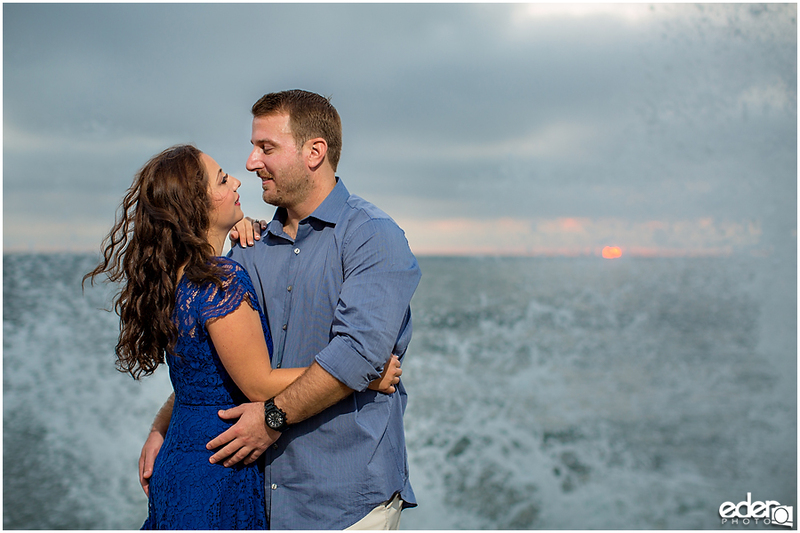 This did not stop Scotty and Nicky. 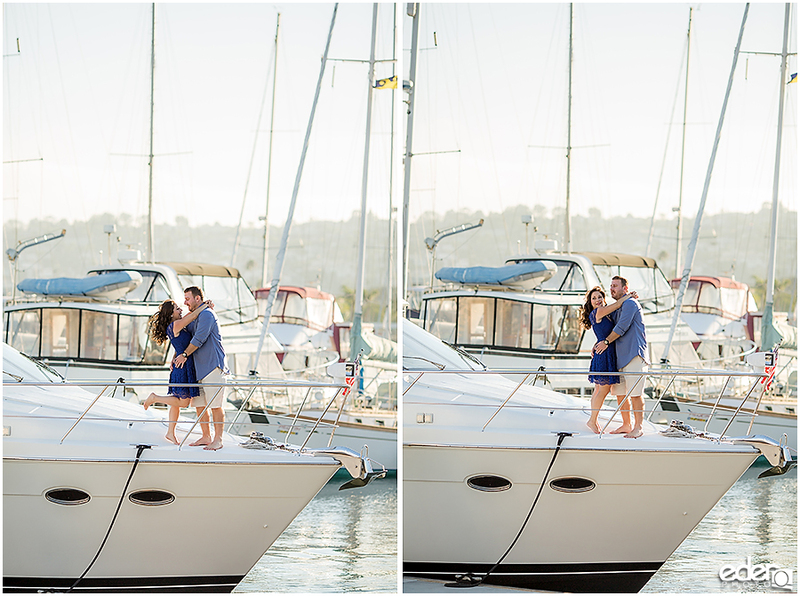 They asked a stranger if they could climb aboard for some photos and were granted access to the boat. 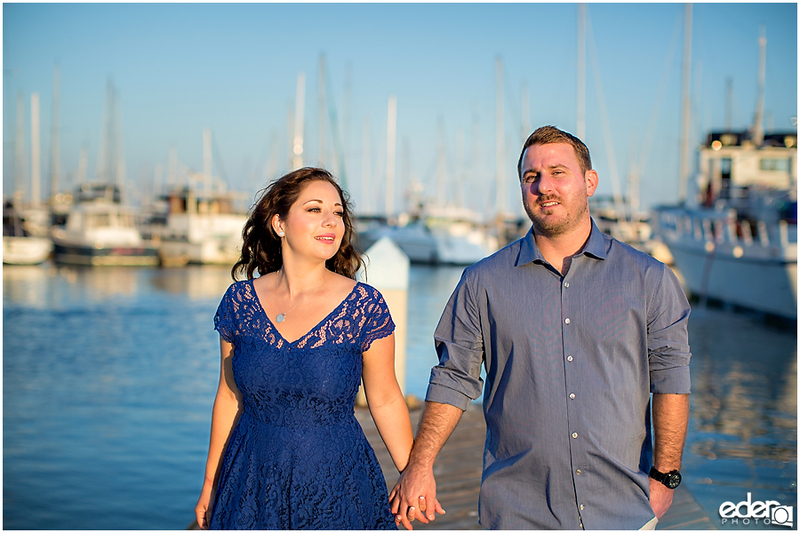 I had so much respect for that go-getter attitude. 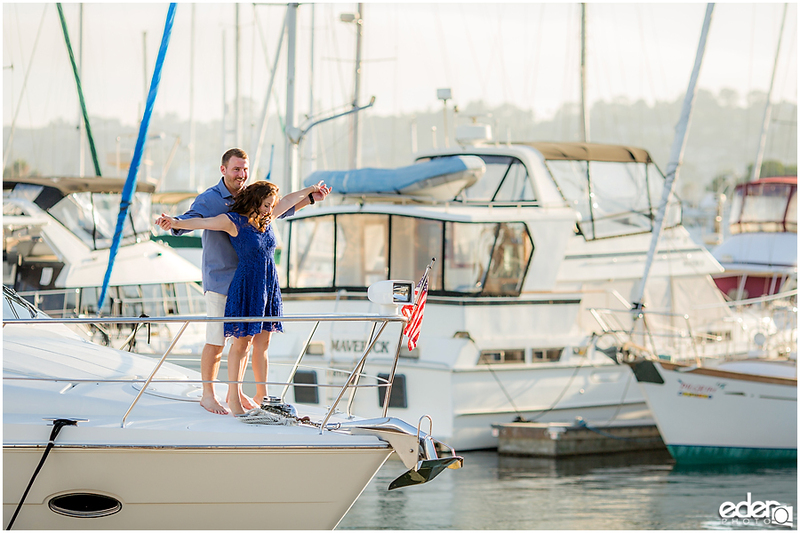 Once on board, we went through a few quick poses including the classic “Titanic pose.” They came back down to the dock and we walked around and got some great photos with boats in the background. 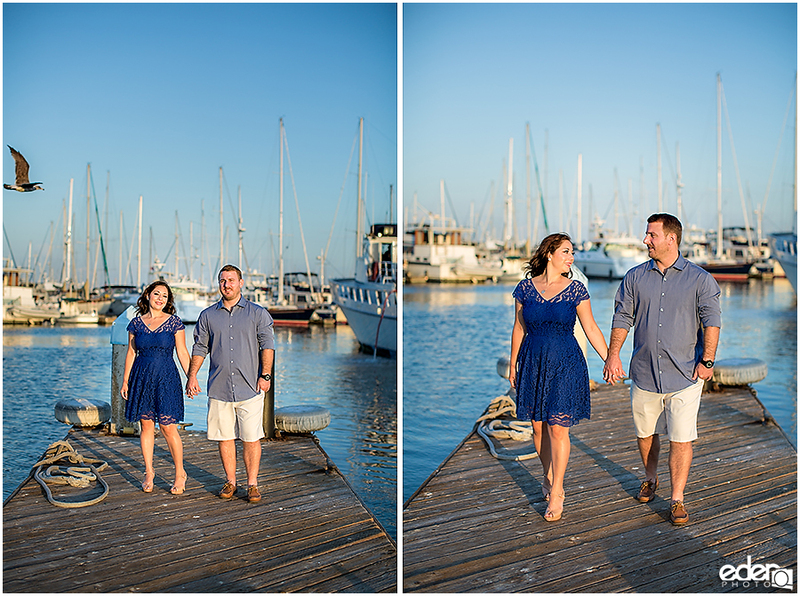 We found some flattering light and did some nice closeup portraits of them as well as some bigger images with them further out on docks. 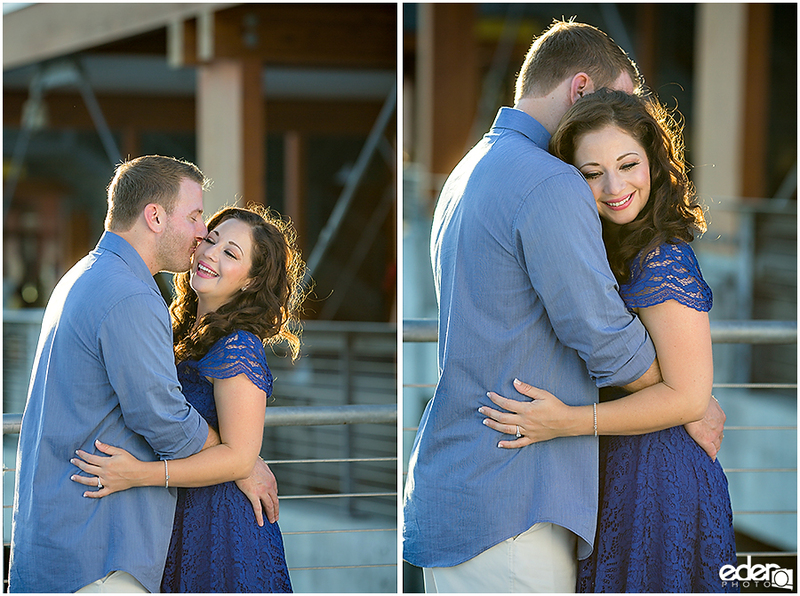 Nicky and Scott were very playful and comfortable in front of the camera right away, so if all we would have photographed was them on the docks I would have been happy with the shoot. 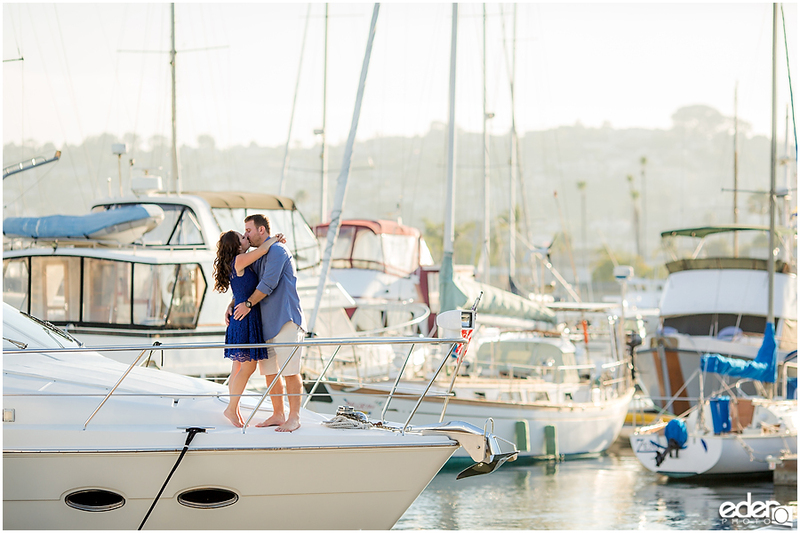 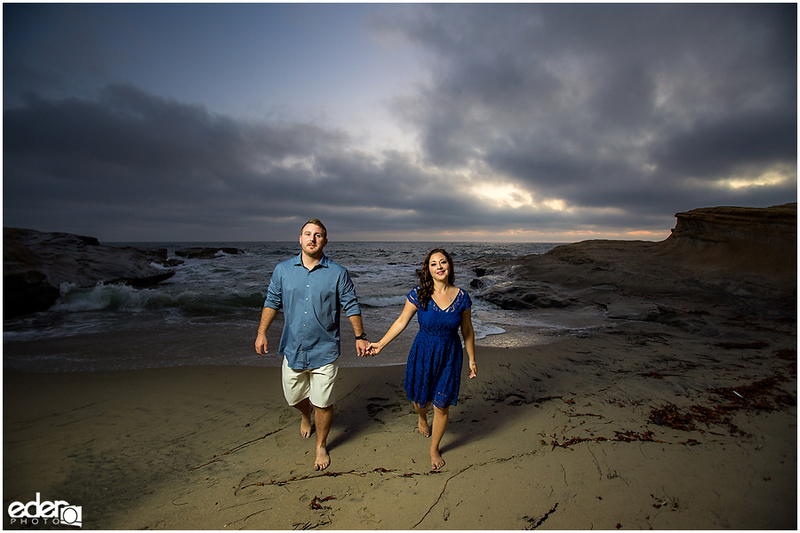 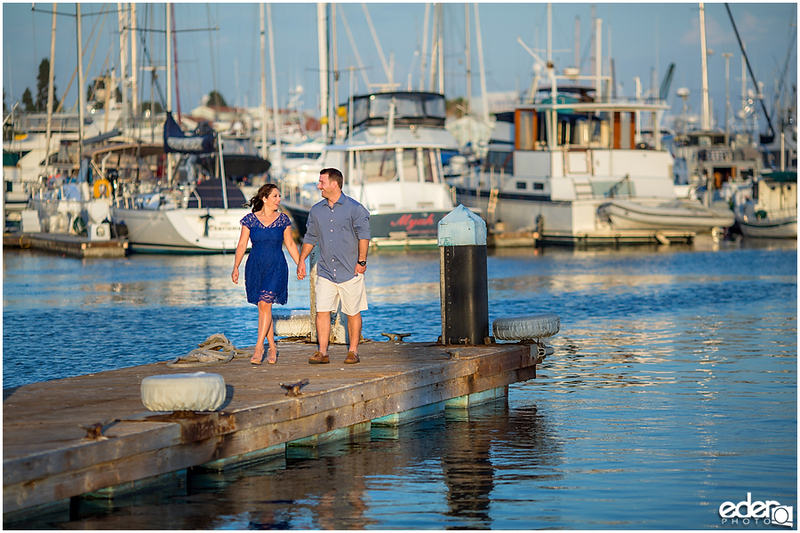 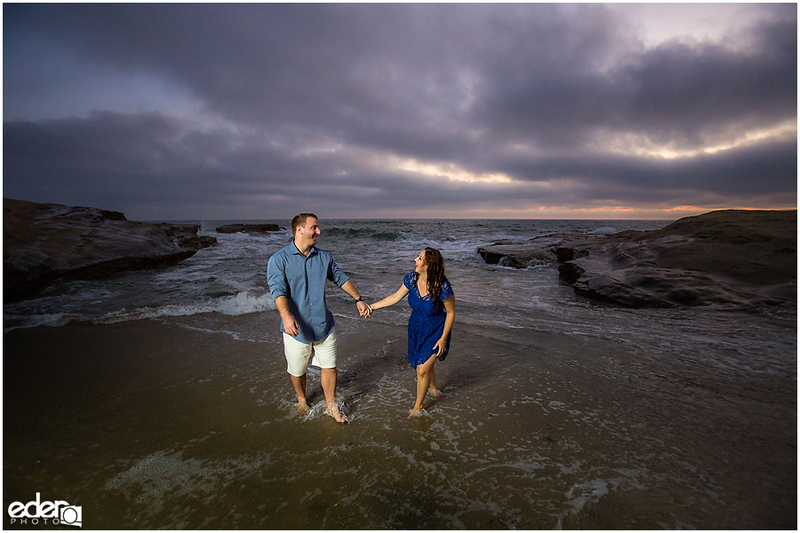 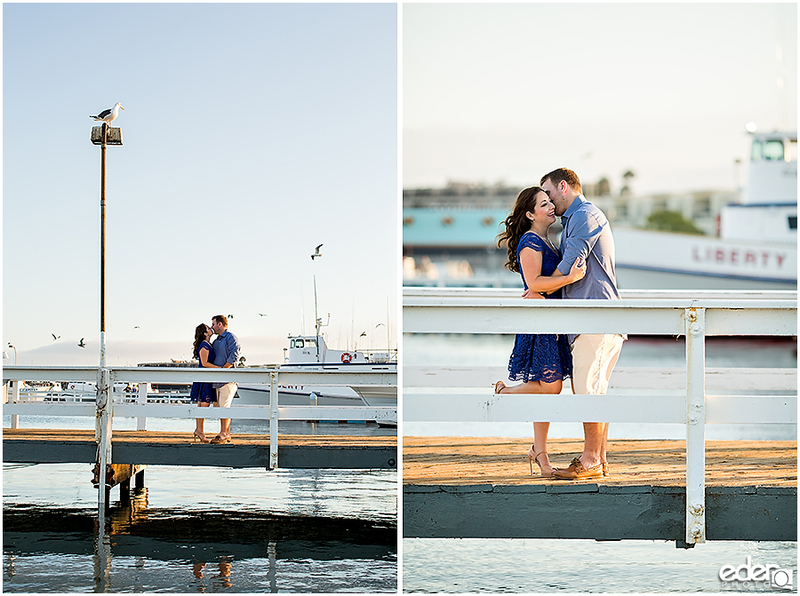 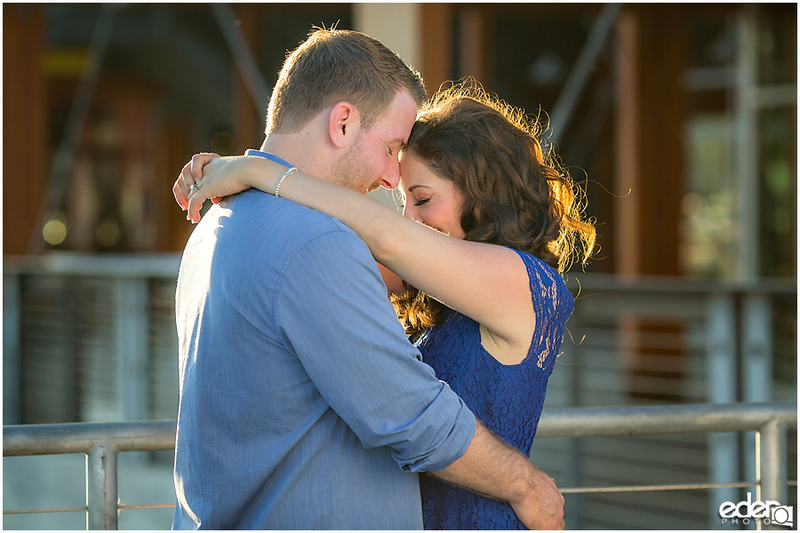 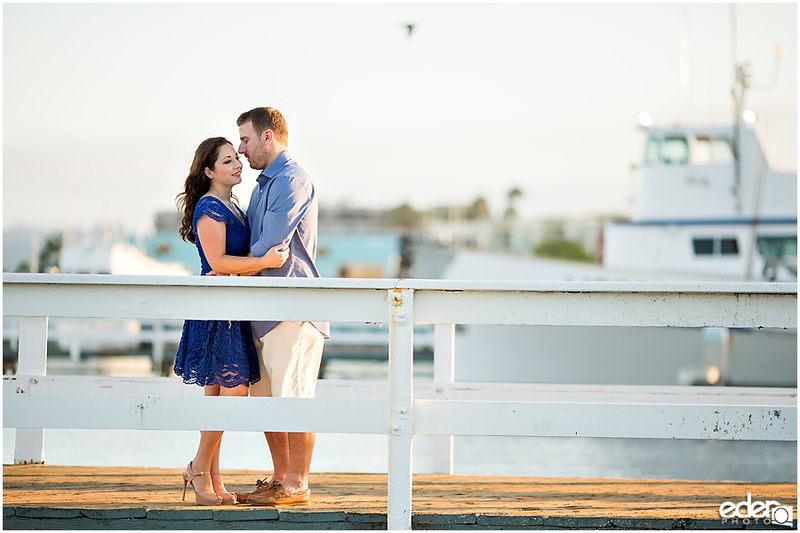 The marina was the cute and fun part of the engagement session, the second would be the dynamic imagery part. 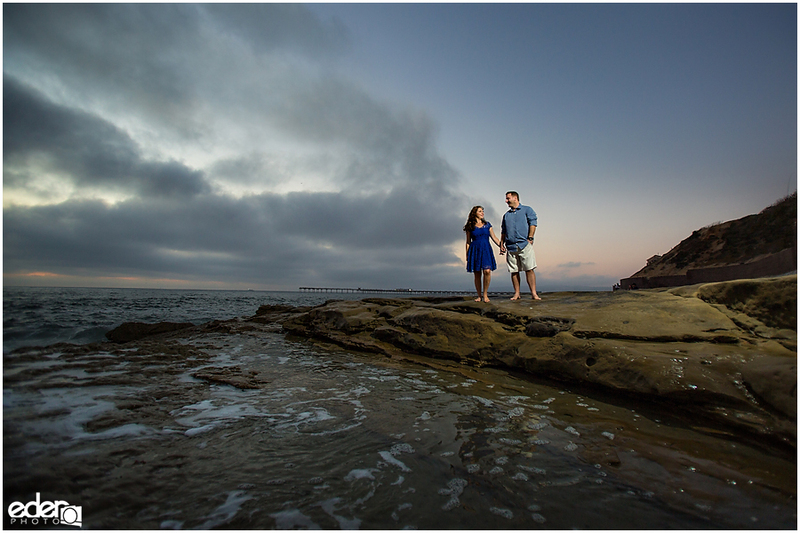 We went to a rocky part of Ocean Beach minutes before sunset. 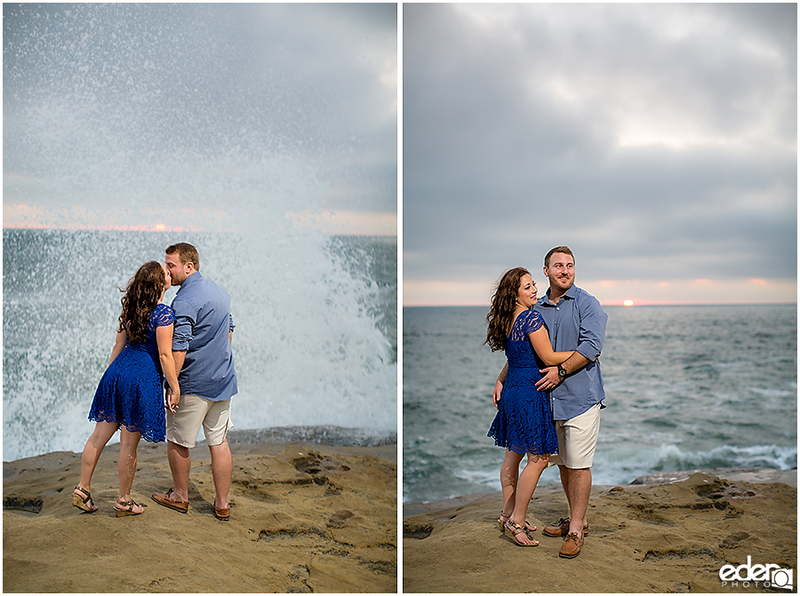 The tide was in and the waves were big, crashing onto the rocks and making huge splashes. 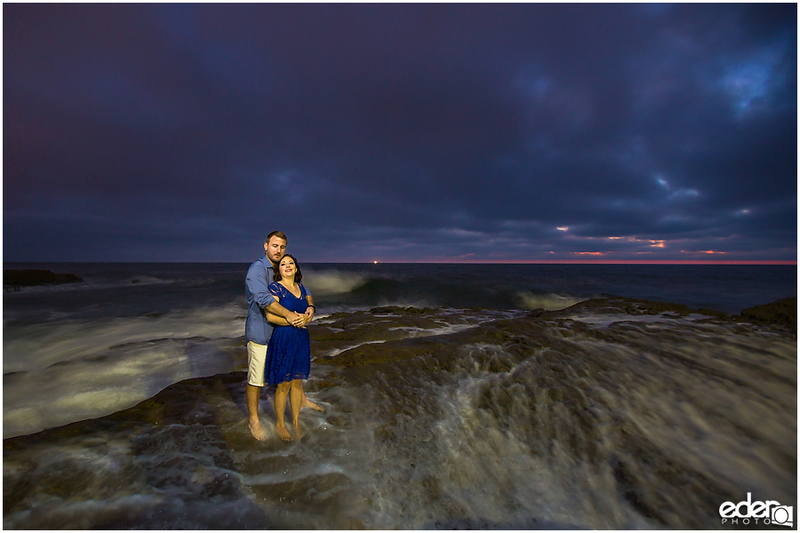 I asked Nicky and Scotty to stand really close to the edge and they posed for some photos as waves splashed up right next to them. 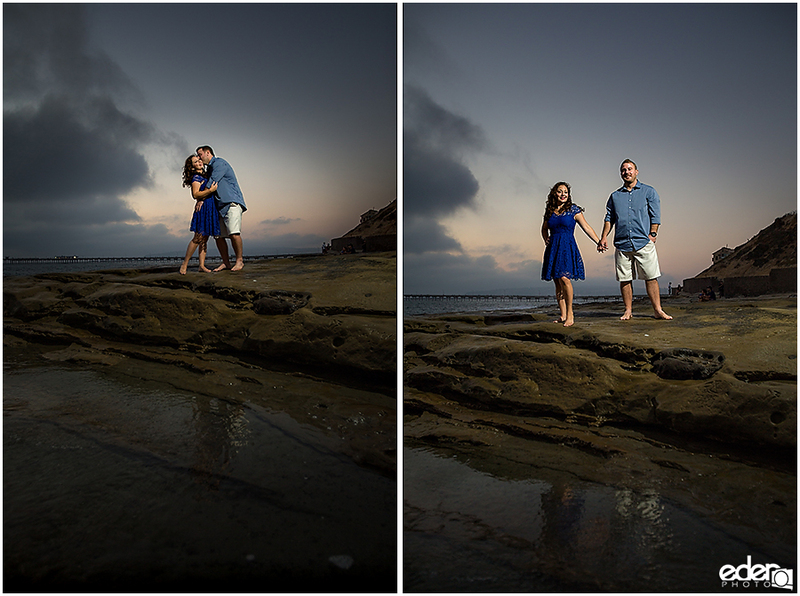 We finished the session with having them walk on the beach and through a little water. 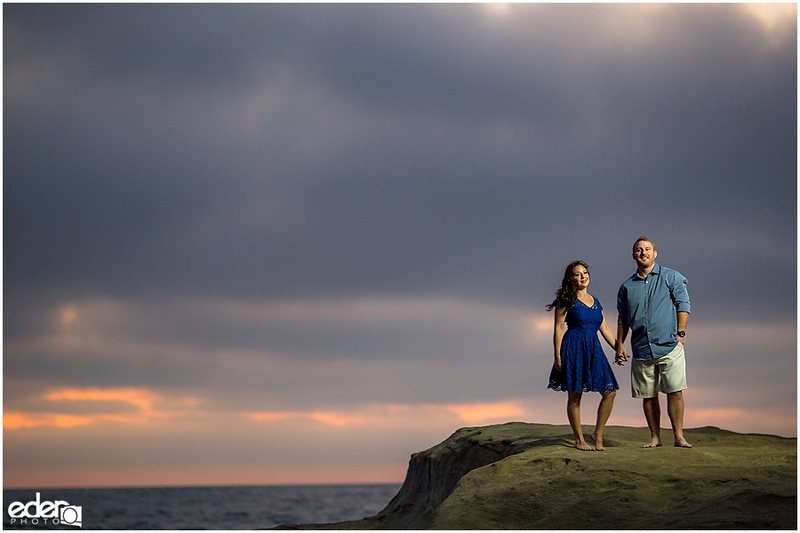 It was great working with Scotty and Nicky. 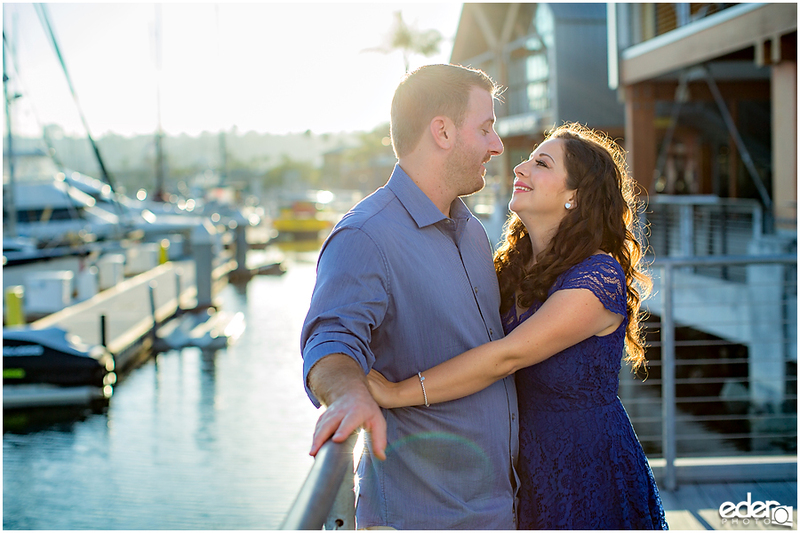 I felt like their attitude going into the session was that they were going to make sure that they made the most out of it. 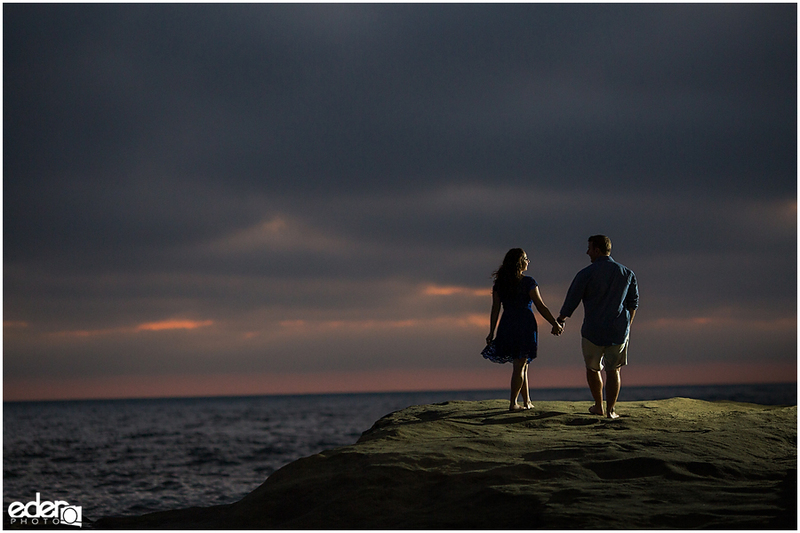 I love when that is the approach because we end up with some great imagery. 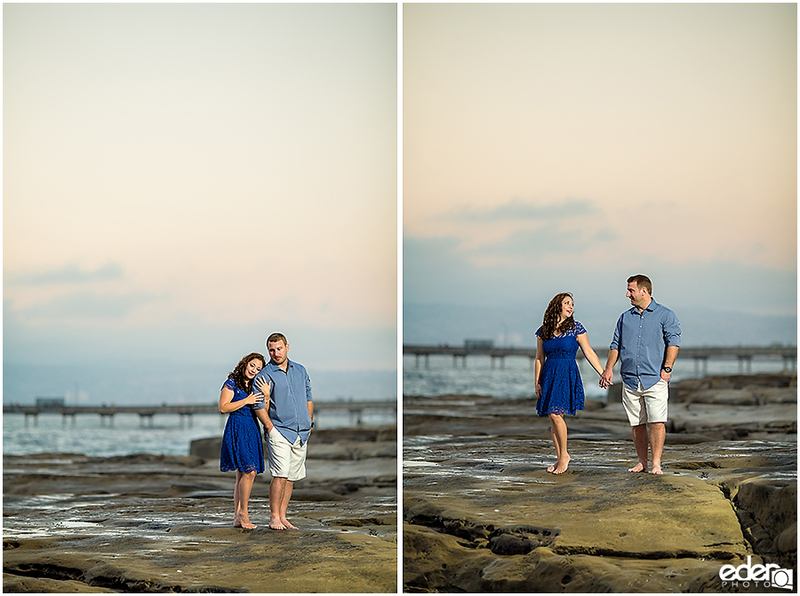 I’m very happy with what we created during their session.